Intrinsically Safe | Taylor Data Systems, Inc.
At all places where flammable substances are produced, processed, transported or stored, safety is extremely important – especially in the chemical industry, petrochemical industry, in oil and natural gas production and in mining. 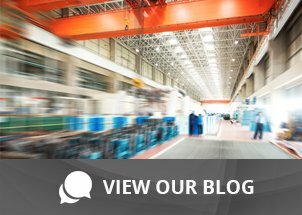 That’s why Taylor Data offers ecom’s Intrinsically Safe devices that ensure that the risk of an explosion is completely eliminated. 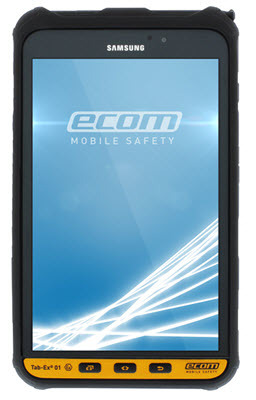 ecom’s devices not only pass all safety certifications but they’re high quality, durable, and long-lasting. Contact Taylor Data Systems for more info on Intrinsically Safe devices. The i.roc® Ci70 -Ex mobile computer combines the widest range of global approvals for use in hazardous environments, from ATEX through IECEx to NEC, so that the use and integration of different devices on different continents is no longer required. Therefore, it defines the new industry standard for an intrinsically safe handheld computer solution. ecom‘s hazardous area tablet, the Tab-Ex® 01, brings a new level of customer focused solutions and increased ease of use to mobile workers in Oil & Gas, Refining, Chemical, Pharmaceuticals and other hazardous industries. Recognizing that many work tasks are performed in both nonhazardous and hazardous areas, ecom is offering an entire family of compatible tablets, peripherals and accessories suitable for worldwide use in Zone 1/21 & DIV 1, Zone 2 / DIV 2, and rugged environments. Click below to get more information about Intrinsically Safe devices.